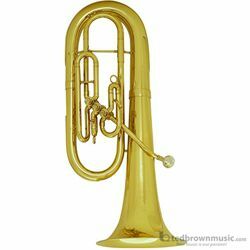 An excellent choice for young ensembles, the King 627 baritone offers easy response with a rich, bottom sound. Bell front design offers a different sonority of sound while the larger bore offers great projection. Front-action, nickel plated pistons provide smooth, quick action and unmatched durability.